Thanks to all who participated in this challenge, and happy New Year! EEE! Even with 5 pieces (so far), it looks so cool!! 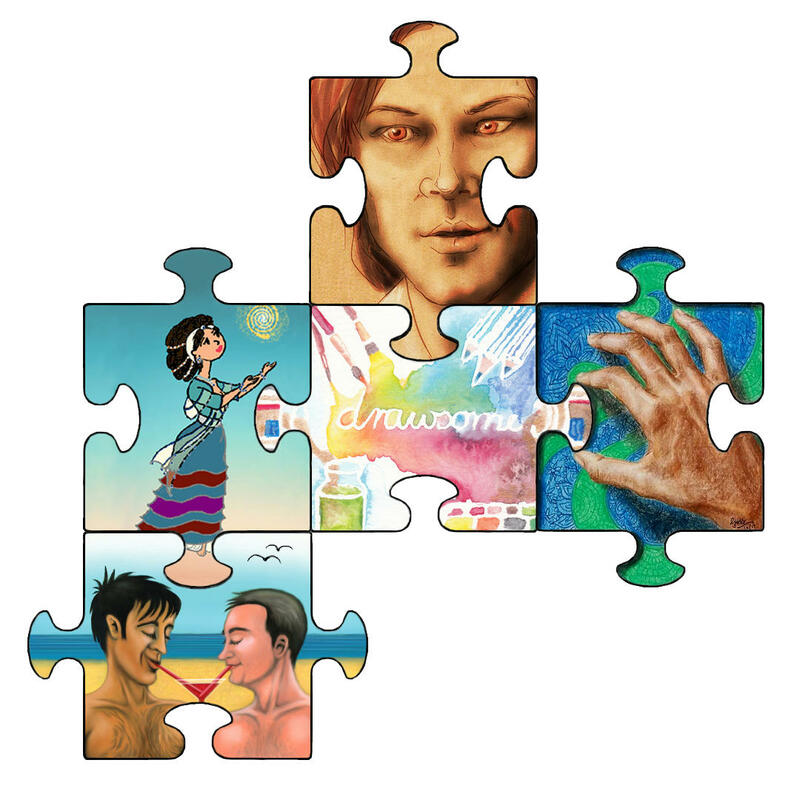 And I love the 3D effect with my hand holding on to the other puzzle piece. hee hee. Heh, I couldn’t resist lining them up to get that effect with your hand! This looks so cool! I hope some more pieces get added though!